I once heard someone say, “You can tell your life story in two ways. You can say, ‘I can’t imagine how I got from there to here.’ Or, you can say, ‘Every road I traveled, every choice I made, was designed to bring me to where I am in my life.’” If you think about it, both are completely true. We marvel at the winding and twisting path that somehow brought us to where we are in our lives. At the same time we recognize that the journey we have traveled in life has a kind of weight to it, a sense of a larger vision, or purpose, than our own. As Christians, we can see how God has sometimes guided our choices to lead us in the direction of that vision, or purpose, he has for our lives. In this Bible story from Deuteronomy, we have a kind of “life story” of God’s people. The people are camped on the eastern banks of the Jordan River. Just across the River is the Promised Land. The distance between Egypt and the land of Canaan, the Promised Land, is about a one or two week walk, and yet they wandered in the wilderness for 40 years. God took them on the roundabout way, through trials and testing, through times of want and hunger and thirst. An entire generation has come and gone. Moses is dying, and he knows that he will not have the privilege of entering into that land. And so, on his deathbed, Moses recounts this life story, with all its twists and turns – how they were slaves in Egypt, how God rescued them, and how God was with them through the 40 years of wilderness wandering. And he gives instructions about what would constitute a good and proper expression of thanks from God’s people to the One who is their redeemer; the One who heard their cries; the One who has blessed them. As they remember their life story, Moses wants the people to be appropriately thankful. I occasionally enjoy old movies. One I watched recently was called “Seven Brides for Seven Brothers.” The movie tells the story of Millie, a young woman in the Pacific Northwest during frontier times, who impulsively marries Adam, a backwoodsman, just a few hours after meeting him. She soon learns that he is one of seven brothers who are eager to have a woman around the house to cook and clean up after them. Somewhat in shock, but still hoping she hasn’t made a dreadful mistake, Millie cleans up the pigsty of a house and cooks an enormous meal for her new family. When the men descend upon the meal like a swarm of locusts, pushing each other out of the way to grab the food, spilling it while they are stuffing their faces, Millie delivers them a lecture on their shameful behavior. It has absolutely no effect. In a rage, she turns the table over, like Jesus with the moneychangers, and yells, “If you’re going to act like hogs you can eat like them too!” Millie is horrified by the fact that the men don’t give thanks before diving into their meal. The rest of the movie follows her attempts to civilize her new brothers and her husband. “When the Egyptians treated us harshly and afflicted us, by imposing hard labor on us, we cried to the Lord, the God of our ancestors; the Lord heard our voice and saw our affliction, our toil, and our oppression. Moses encourages the people, when gathering before God in worship, to remember their story – with all its twists and turns – the hard parts, as well as the good parts, and to give thanks to God. Our worship of God always involves holding together the bitter and the sweet, painful times and good times, and knowing that through them all we have been guided and cared for and blessed. In our confirmation meetins, each Wednesday evening, there is a time, in our small groups, when the confirmation students are asked to share the best thing, or high point, from their week, and the worse thing, or low point, from their week. It’s important that we remember before God both the highs and the lows, the good parts and the painful parts in our journeys through life, because these are woven together in the ways that we have been guided, cared for and blessed by God. I grew up with a Mom who did a lot of cross stitch. I noticed that the bottom side of her cross stitch always looked like a jumbled mess of threads. That’s how our lives can feel to us at times, a jumbled mess – it just doesn’t make sense to us. But God is looking down at the picture of our life from above. He sees our life in its entirety. The messed up looking back side doesn’t worry him or surprise him at all because he sees how all of those threads are coming together on the top to create something beautiful. We know this is true, because sometimes, we can look back at our lives, years later, and see how God has used the circumstances of our lives, the twists and the turns, to teach us, to help us to grow and mature, and to guide us. Other times, perhaps, we cannot yet see it, but we know that God is with us. Like the people of Israel in our Old Testament reading today, we have had our ups and downs, the moments in which our lives were filled with honor and courage and beauty, and the moments in which we failed. The good and the honorable parts of our lives mingle together with the painful and the shameful. And yet, we give thanks, because we know that it has been through those ups and downs, that we have been guided and cared for and blessed. Moses advises us, in our worship of God, to remember our journey through life, with all its twists and turns. And then, Moses advises us that an appropriate expression of our thanks to God is to share a portion of the blessing with which God has blessed us. Sounds something like our offering in church, doesn’t it? Except, in that ancient world, where there was no currency. Instead, the people brought a portion of the harvest of their crops. It’s like we’d have piles of corn and soybeans and garden produce stacked up here. The advice of Moses suggests that, the blessings we receive are to be shared, in ways that honor God, in ways that participate in what God is doing in the world, in ways that support God’s mission in the world, and in ways that bless others. This is the way that God instructs us to give thanks to him. We can each tell our life story in different ways. Some of us will wonder at the winding road that has brought us to where we are today. Others of us will see the hand on God in every road we traveled and in every decision we made. For all of us, however, we can trust that the powerful and loving heart of God is guiding us and caring for us and blessing us, even in the times we feel confused or alone. 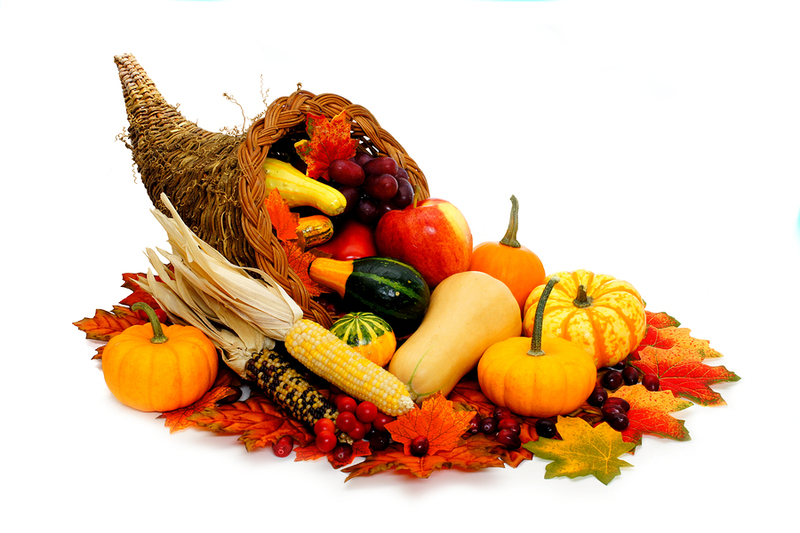 And each one of us can give thanks and celebrate God’s goodness, by sharing the bounty we have been given. Thanks be to God!